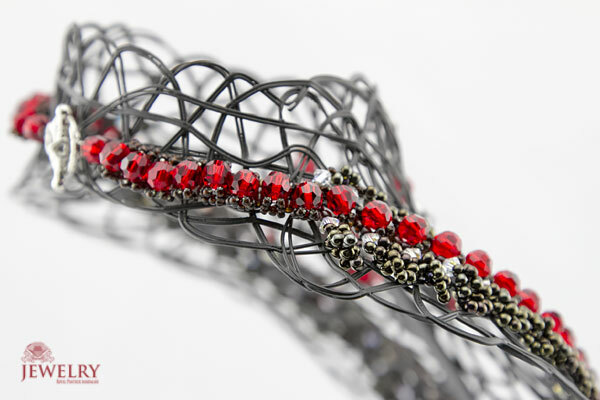 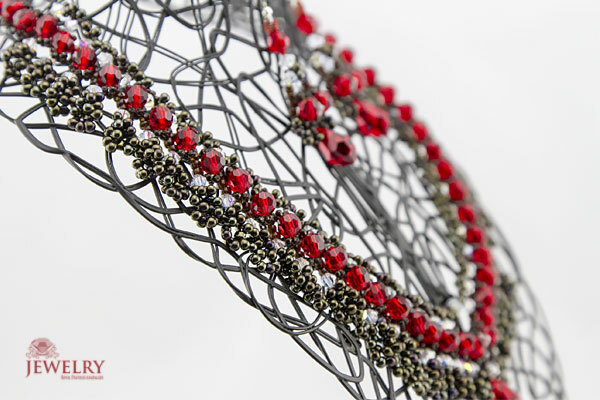 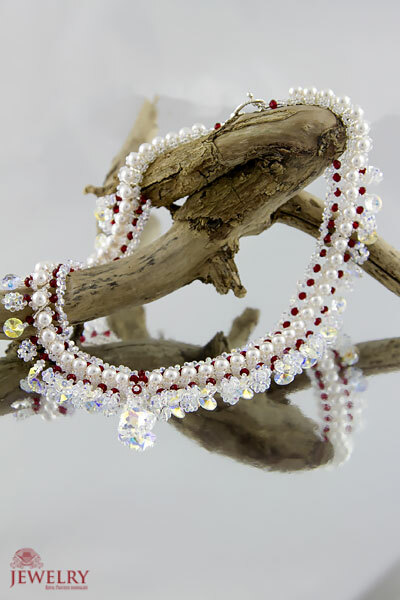 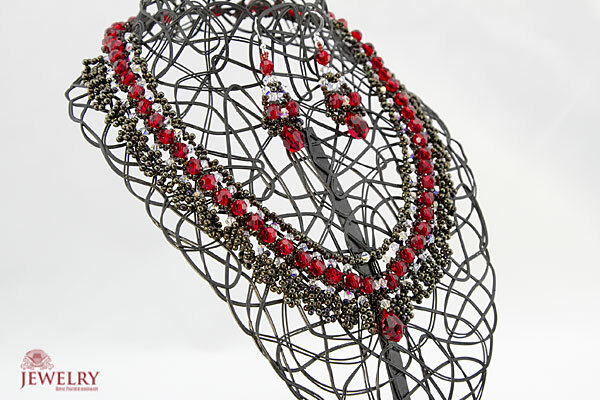 Swarovski Crystals, Toho beads, amazing pearls and more…flawless designs. 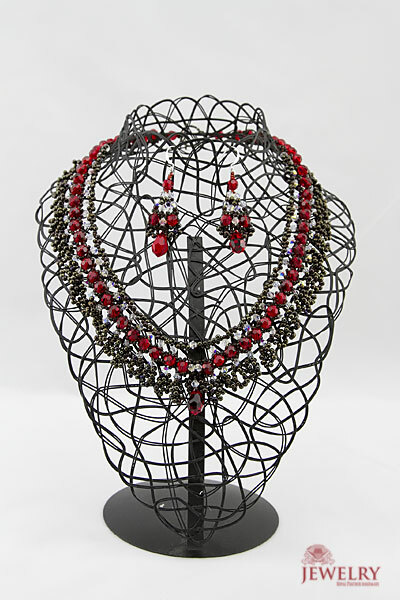 Delightful Necklace Sets Online of necklace and earrings made from unblemished pearls, handsome glossy stones with intriguing matrix in Brown/Red set. 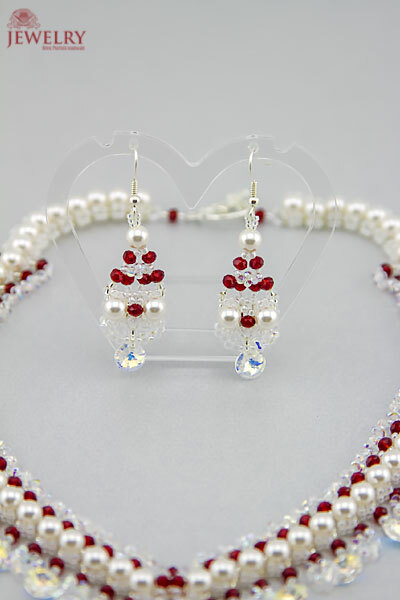 Using lipstick red Swarovski bicones in Wedding version and Presoica glossy stones candy red color in Brown/Red set. 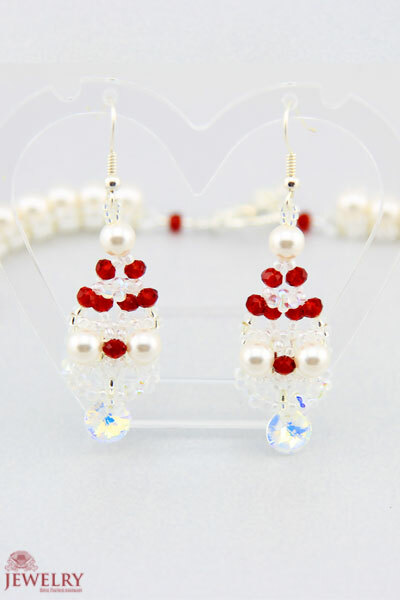 Both aproxx 70 g. Wedding set have Swarovski pendant AB color 2.2cm long. 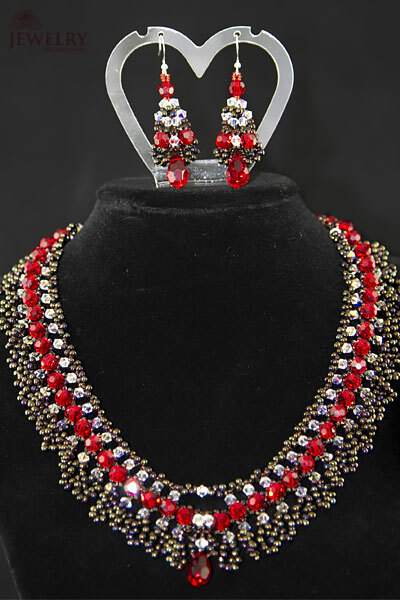 Brown set have 1.5 cm long pendant plus bicones.